Chewy Seafood Dog Treats are a salivating healthy, munch, crunch chew. A treat that is perfect to help with denture cleaning and is naturally low fat. Chewy Seafood Dog Treats helps with healthy skin, shiny coats and the cleaning of the teeth and enhancing healthy gums. Seafood Dog Treats benefits the heart & kidneys, keeps the circulation healthy, and supports joint health. So many health benefits in one yummy chew. Meat and shark back bone in cased in a leather like textured skin. Chewy Seafood Dog Treats are perfect for dogs of all sizes, even if you have a cat that loves to chew we are sure they may want to give them a go. Chewy Seafood are a salivating healthy, munch, crunch chew. A treat that is perfect to help with denture cleaning and is naturally low fat. So many health benefits in one yummy chew. Our exclusive Nutrieseal™ process ensures the benefits of our Chewy Seafood Dog Treats is not destroyed nutritionally. Feeding our seafood helps with healthy skin, shiny coats and the cleaning of the teeth and enhancing healthy gums. Seafood benefits the heart & kidneys, keeps the circulation healthy, and supports joint health. 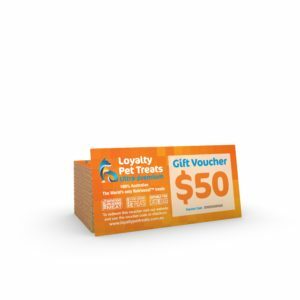 When you feed a Loyalty Pet Treat it can improve your pet’s mood, watch them come back for more. Limited stock. Tried these as a change from the twists. Could do with them being a little bigger for bigger dogs, I have retrievers. Will probably not get on a regular basis, but will on occasions. Still a good product. 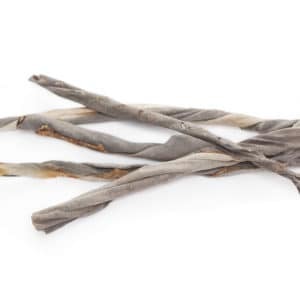 Our Australian duck feet are a crunchy, chewy treat that is high in protein and naturally rich source of chondroitin which may help with joint pain. 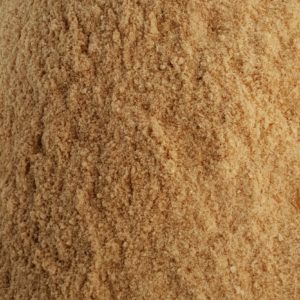 Healthy all Australian fish & liver Meal Topper, aromatic, enticing for dogs & cats. 100% pure & natural, superior quality pure natural goodness and taste. Meal Topper Australian Chicken Breast is low fat 2.1%, first class 100% premium human grade chicken breast meat. There is absolutely nothing added, no preservatives, additives, fillers or enhancers. Not only does it smell yummy it tastes amazing, it really has high palability. Seafood Chips are 100% crunchy pieces of fish that will excite your fur babies. Easy to break 100% natural seafood that is highly nutritional. Seafood has so many benefits for your pet and they will go crazy for ours. Limited stock. 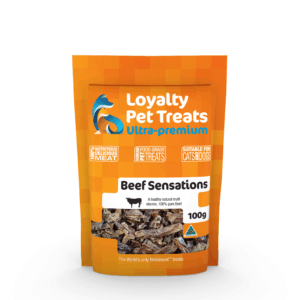 Australian Fish Twist Chews are guaranteed to make your pets salivate. A chewy denture cleaner, with natural health benefits. .